Can Too Run is for people of varying fitness and experience levels who are able to train for their running goal events in a fun, safe and supportive environment. We will be providing you with a training schedule and experts give information about nutrition, injury prevention and race strategy, and of course, the work of Can Too Foundation researchers. That's the running part, the other half of the Can Too program is about fundraising for cancer research. Since 2005, 15,000+ participants just like you have raised $20 million, towards improving health and well being in the community and supporting the research, prevention, care and control of cancer. 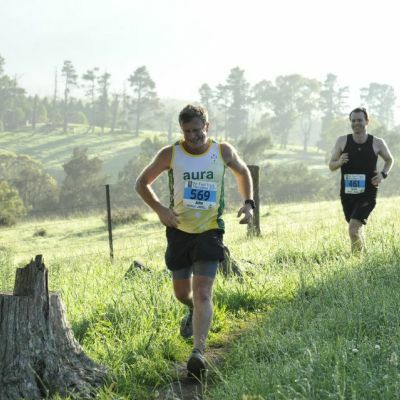 Most people have an ability to run but may lack the technical skills and knowledge to give them the confidence to complete a 10km, Half Marathon, Marathon or Trail run. Can Too caters for beginner runners and seasoned runners. With the help of our qualified coaches and our daily training program, we’ll get you running and improve your fitness whichever distance you aspire to reach. Running shoes. We all have different running styles, for injury prevention, we recommend you get your running shoes from a store that assesses your gait and running style. Snack such as banana or muesli bar. *Your Can Too training shirt. Please try on for size and ask your Team Captain if you need to swap sizes. Please don’t wear the shirt if you intend to change it. 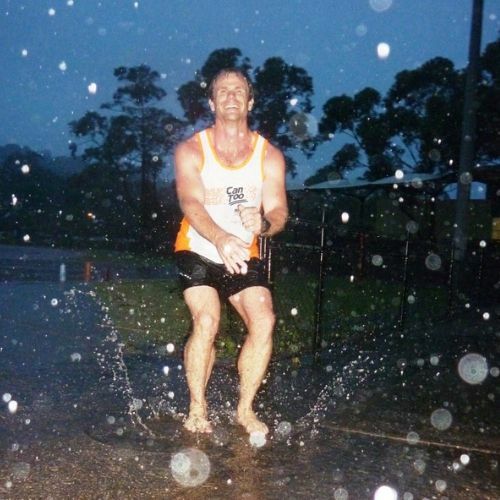 Please wear your own singlet or shirt on the first night. Your track entry (if applicable) is covered, please let the staff know each week you are with Can Too. One coached hour at the track, remaining time for Can Too information and fundraising updates. You will be given a 10/14/20 week training program to follow including fitness sessions to do outside of Can Too track and long run. Throughout the remainder of the week follow our at-home session plan for cross training and core strength work to make sure that you have what it takes to reach your goal. It’s that simple! Follow the program for the run of your life!! Can Too follows a 10/14/20 week training program with one track and one long run session per week, culminating in you taking part in your goal run. During the program you will need to register online and pay for your goal event race entry. But don’t worry just yet! Your Team Captain will talk to you about the race day, so you don’t need to register until the program has started and you’re comfortable with which event and distance you want to complete. 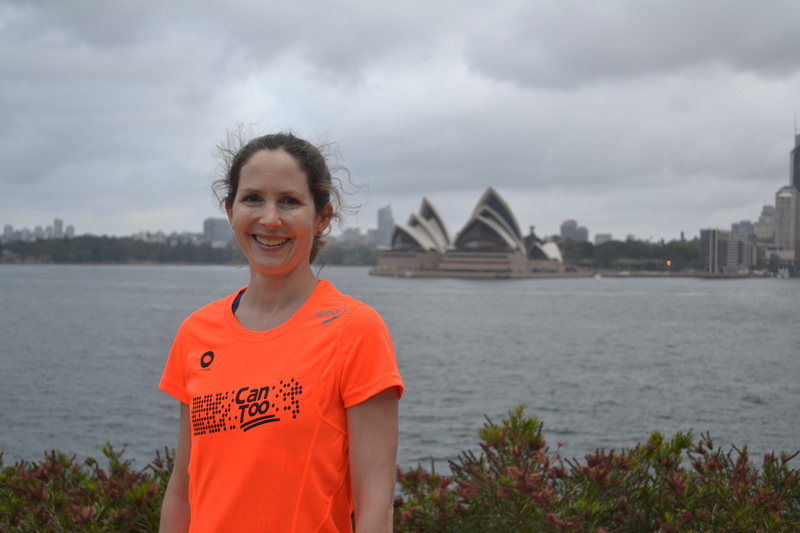 You also have your Can Too running shirt, so feel free to get together with your Can Too friends and enter any of the amazing running events during the season and be sure to wear your Can Too shirt with pride! Ask your Team Captain or Coach as they may have advice to give about other runs! Let your Team Captain or Mentor know if you are unable to attend a session. At the start of the program save their phone numbers into your phone and call or text if you are unable to make the track or road, giving as much notice as possible. If I can't make my mid-week or Saturday session, can I go to another pod and join their session? Your safety is of paramount importance to us. We are strictly governed by participant numbers at our pods to comply with coach to participant ratios. Unfortunately you can't swap to different pods/locations as this will sway our numbers and put out our Coach:Participant safety ratio. If you can't make a session, please speak to your Team Captain and Coach and take their suggestions on how to follow your outside of Can Too 10/14/20 week training program. Can Too is 50% training program and 50% fundraising. Over 15,000 Can Too participants have raised over $21 million since we began in 2005, following this model of a training program in return for committing to fundraise for cancer research, it’s very achievable. Your Team Captain and Mentors have all met their fundraising pledges, they are there to help you with your fundraising, offering tips and suggestions. Read our great fundraising booklet full of ideas to help you. We encourage you to start fundraising early in the program and have a Fundraising Plan so you can get that out the way and then focus on your running! Ask you Team Captain and Mentor, they’re there to help you! You have until 30 days after your goal event to complete your fundraising commitment that you agreed to at registration.